Lagniappe (la·gniappe) noun ˈlan-ˌyap,’ – 1. An extra or unexpected gift or benefit. 2. Something given or obtained as a gratuity or bonus. 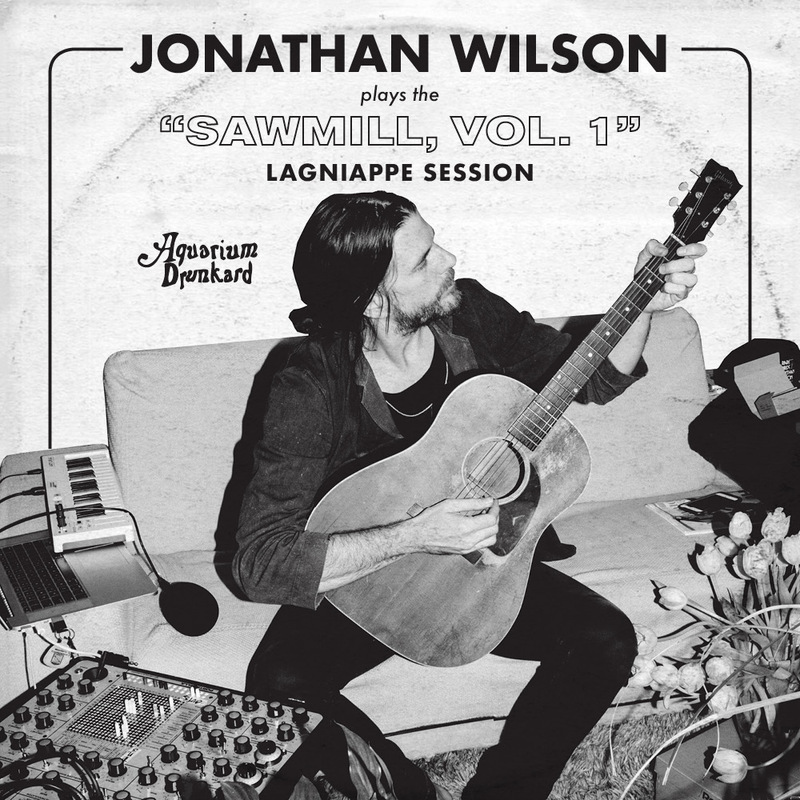 Sawmill, Vol 1 is a collection of traditional songs and a few songs I have written, all recorded live to cassette on acoustic and nylon classical guitar. I used an old Pioneer hi-fi spring reverb, and made a little record the way I used to make demos in my early days in a dimly lit and damp basement apartment in NYC. This is a handpicked selection for Aquarium Drunkard from that collection…. It was the Buell Kazee version, the earnest delivery of this song, with his voice and banjo that I listened to over and over in Topanga Canyon in the early ’00s. This banjo style mesmerizes me, so I decided to do a version live to cassette, with spring reverb galore. Davey Crockett, the man who wanted to abolish west point, and the only vote in the house against the “Indian Removal Act”. I wanted to sing his song sweetly and succinctly. This was a traditional song I only read the lyrics to, and devised a melody of my own. This was a spell when I was obsessed with Alan Lomax recordings, and the concept of him driving around catching songs in the trunk of his car, with the mobile rural capturing device. It is both endearing and alluring to think of such a time in American musical history. This is an autobiographical tale written in the East Village, USA, composed in the little basement apartment I lived in on 13th and B. I had a kooky old building “Super” as my neighbor, who lived in a broom closet with a large German Shepard named “Lady”. Every time I walked into my little basement apartment the dog would try to Cujo-Style maul me. You can hear this spiteful beast in the intro, as her Manhattan-lifer, kook owner’s adoration permeates the first few bars. This was again Buell Kazee via Harry Smith, some of the weirder stark vocals and percolating banjo of the new weird American set. A weirder land than this we will never know. This was one of the first songs I learned to play on Clawhammer banjo, and one that I had to include in Sawmill, Vol 1. Aquarium Drunkard has launched a Patreon page, which will allow readers and listeners to directly support our online magazine as it expands its scope while receiving access to our secret stash, including bonus audio, exclusive podcasts, printed ephemera, and vinyl records. Your support will help keep an independent cultural resource alive and healthy in 2019 and beyond.